Farm buildings sit on land that's for sale in Clay County, Missouri. Nearly 40,000 people have moved to the county since 2000. Big cities in the Midwest are gaining ground on the rural communities that, for many decades, have thrived on the edges of urban development. Since 1980, the amount of land being farmed or grazed in the U.S. has dropped 13 percent, according to the U.S. Department of Agriculture. Much of it now is covered by housing subdivisions, big-box stores and computer-server farms. 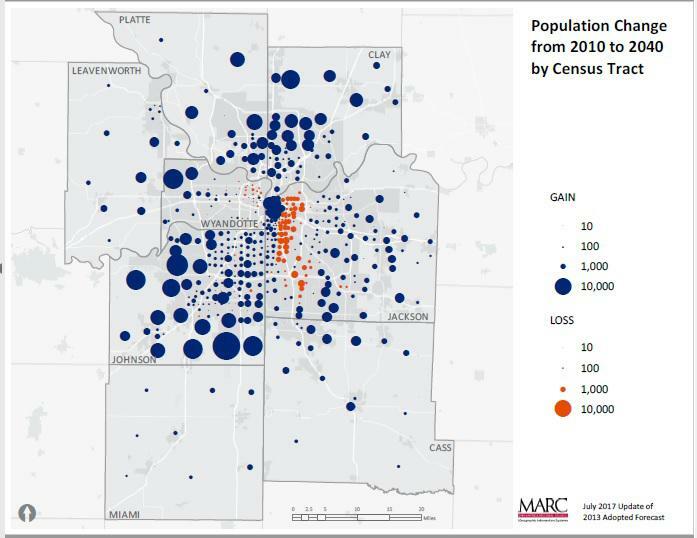 Urban areas have expanded in Dallas County, west of Des Moines, from 1950 to last year. About 11 percent of county land has been annexed by cities. And the county population grew from just over 66,000 in 2010 to more than 84,500 in 2016, according to Census Bureau figures. County planner Murray McConnell has been struck by how every wave of new arrivals rankles the previous one. Two towns in central Iowa, Waukee and Adel, have grown closer due to county land being annexed, especially along the state highway that connects them. “Everybody wants to freeze the landscape as it was when they arrived,” he said, noting that the loudest voices who oppose things like a new housing development are not the farm families whose fields abutt the new construction, but the hobby farmers or large-lot suburban transplants. Lori and Matthew Wiese are new farmers, former urban professionals who restored an abandoned farmhouse in the county, did a farming apprenticeship and moved their family of six out there. Now, they direct-market fruits and vegetables, eggs and chicken and will be adding beef. Their customers pick up the orders. Matthew and Lori Wiese (shown here with three of their four children) operate Heirloom Farm in rural Dallas County. It relies on a customer base in Des Moines and its suburbs. “People, because of the choice that we offer, were willing to drive a little bit father,” Lori Wiese said. The response: No. And that’s fine with the Wieses, whose road extends across the Raccoon River. They said paving it would increase traffic and take away from the quiet rural landscape they sought out. The courthouse in Dallas County, Iowa, was built in 1902. Renovations about 10 years ago added two new courtrooms, but there still isn't enough space, meaning trials are often delayed. McConnell noted that the county tries to discourage development on prime farmland. But once a city annexes county land, development is likely, he said. And it puts a strain on county services. The historic courthouse in Adel, 30 minutes west of Des Moines, is bursting at the seams. Two new courtrooms were added a decade ago, but county clerk Anna Butler said there’s already not enough space. “It's becoming more frequent over the last few months where we've run out of courtroom space when we have multiple jury trials or multiple even bench trials,” she said. 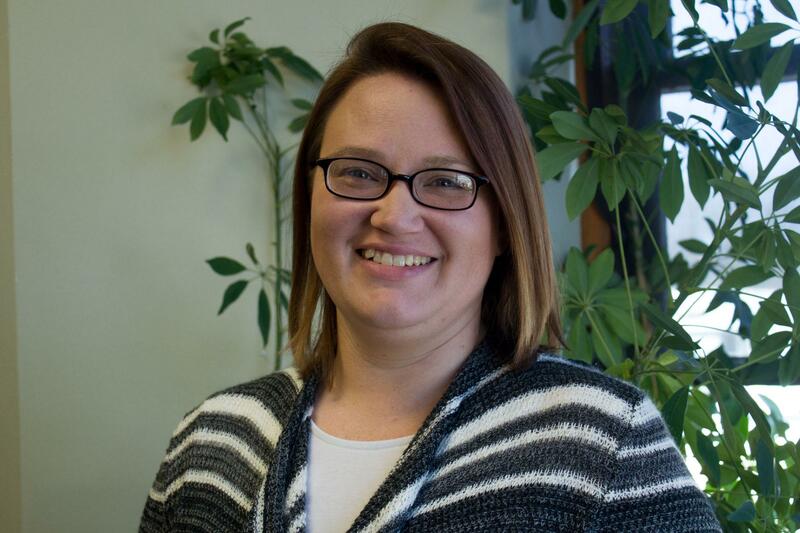 Dallas County, Iowa, clerk Anna Butler says judges sometimes work out of their chambers or a conference room because the building doesn't have enough space for the increased demands from a growing population. Judges sometimes work out of conference rooms, cases are delayed, attorneys fees pile up. “It's a burden on everybody. It's more paperwork on our end. It's a hassle all the way around,” Butler said. The increased demands on law enforcement may be a boon to the court system. When the sheriff’s department moves out of the bustling town center and into its new building, Butler said, there’s a chance the county will convert the old jail into more courthouse space. 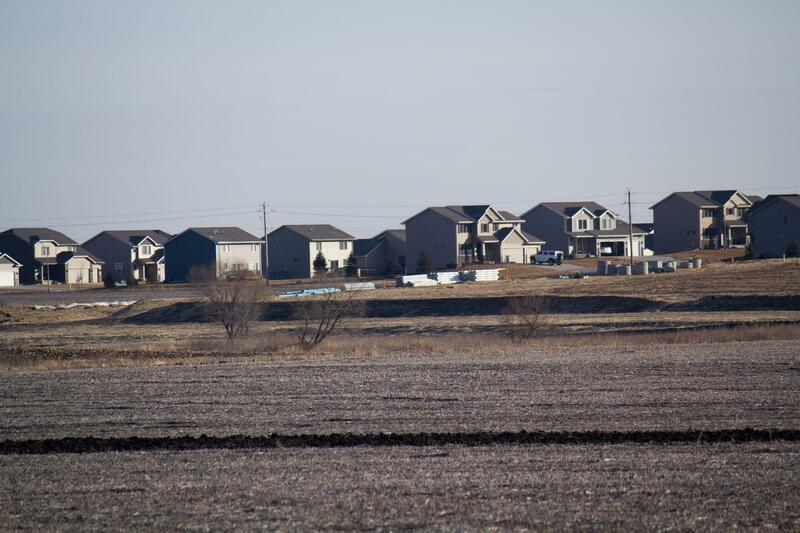 Growth is happening in the town of Adel itself, which added a wing to the elementary school, as new housing springs up to the south and east, stretching toward I-35, where, two and a half hours down the road is the northern suburbs of Kansas City. A sign of development in Clay County, Missouri, where finished houses in a subdivision sit next to uncleared land. While the amount of farmland in Missouri has held mostly steady for a decade, Clay County — undulating land crossed by streams, many of which feed into the Missouri River — saw the metro area’s biggest percent change of land between 2007 and 2012 that no longer is used for agriculture. New housing subdivisions are pushing out livestock grazing and farmland; between 1978 and 2012, the number of cattle here dropped by a quarter. And officials estimate that by 2040, five percent of the county’s total acreage will be newly developed. From an economic standpoint, development is good for Clay County: more people, more businesses, more jobs. But county commissioner Luann Ridgeway said there’s a distinct effect of having almost 40,000 people move in just since 2000. “The trend in Clay County is, yes, it is cutting into agricultural production. Definitely. And once a farm field grows houses, it rarely goes back into farm field production, sadly,” the Republican and former state legislator said. Linda Hezel lives on 15 acres about 20 miles from Kansas City and runs Prairie Birthday Farm, growing fruits, vegetables, herbs and wildflowers that end up on plates at restaurants across the Kansas City metro. Her concerns about suburban encroachment are twofold, the first being what happens when land is clear-cut for housing developments and shopping centers. “Lots of parking lots and we take out whole forests now. We are capable of just grinding them up and hauling them away because of the equipment and the technology and I think that's a terrible misfortune because we don't know what's in there,” Hezel said, referring to wildlife and carbon dioxide emissions. A nurse by training, Hezel’s second worry is that losing too much open space could put people’s health — both on a personal and a community level — at risk. Linda Hezel looks out over her vertical-farming beds in January at Prairie Birthday Farm near Kearney, Missouri. She and her husband bought their land in the 1990s, before developers took notice of the area’s natural beauty and built a subdivision that abuts her property. “Now, when we moved here, Oakbrook behind us was cattle. It was probably 160 acres,” she said. Hezel recently learned the subdivision is adding 18 more homes. With thousands seeking more elbow room than living in a city might provide, there’s a sense that community ties are breaking among those who’ve been out here for a while. 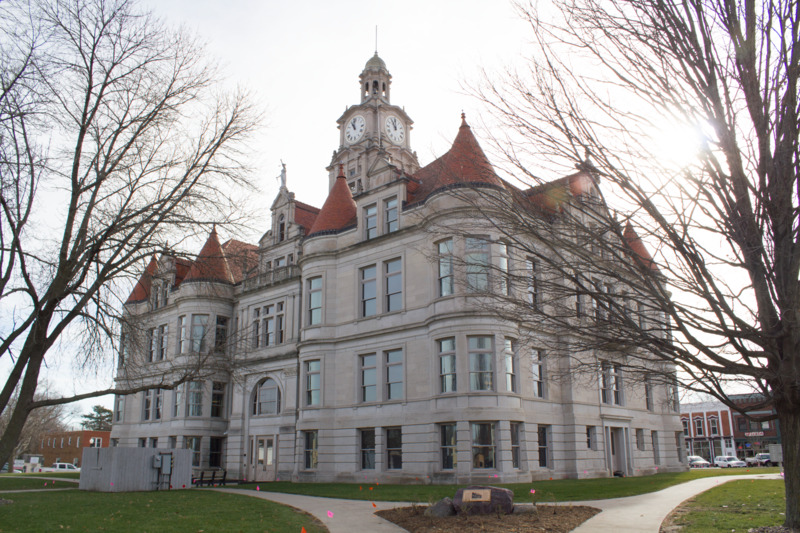 “The thing I hear the most is the loss of local identities,” said T.J. Berry, a Republican state representative and the incoming executive director of the Clay County Economic Development Council. 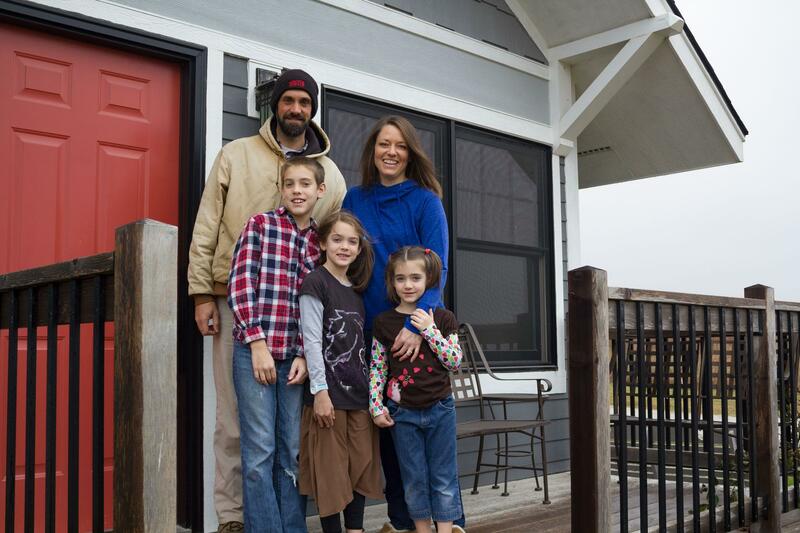 “So, Liberty used to be its own community, and now it’s definitely part of the suburban Kansas City area. And you don’t want to lose that identity: multiple high schools rather than one high school for a community. “And that’s not just in Liberty, that’s in other communities in the Northland, where they’ve lost identity,” said Berry, who grew up on a farm in Clay County. Take Shoal Creek Valley, a residential and retail development that’s part of Kansas City. Official city documents acknowledge that it’s “a predominately agricultural area that has experienced rapid suburbanization since 2000,” due to tax incentives. 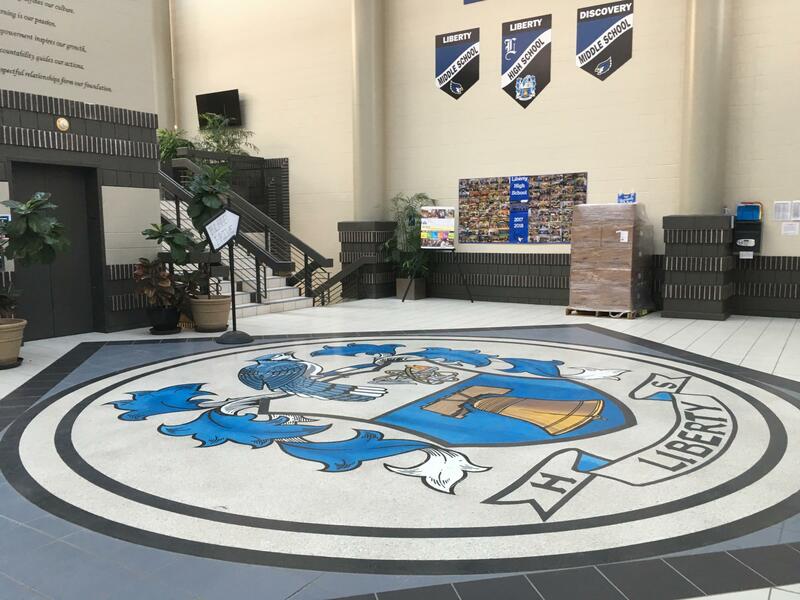 The main entrance to Liberty High School, which is in a district that grew by more than 5,000 kids in the 15 years. He said the district now has a handle on its population influx, and they’re still expecting to grow as the county does. Some Shoal Creek kids attend school in the North Kansas City School District, which district spokeswoman Tammy Henderson said has grown by about the size of a grade school every year for at least eight years. New school buildings and upgrades are in the works, she said, and the 82-square-mile district buses now run on natural gas, which cuts the cost of covering about 2 million miles a year. And that brings up what may be the most headache-inducing part of when once-rural areas sprouting thousands of homes: traffic. A look at the expected population growth in the Kansas City metro area from 2000-2040. Clay County is in the upper right quadrant. While Clay County is convenient for people who commute to jobs in Kansas City and other nearby towns, the roads near the subdivisions and retail areas can get cramped. There’s a key state highway, Missouri 152, that runs east and west, cutting through the concentrated developments at the south end of Shoal Creek. Kyle Elliott, the long-range planning and preservation division manager for Kansas City, said 152 is a challenge at the pinch-point intersection with I-35 — a major shopping area with a Hy-Vee, Home Depot, Target and Walmart, not to mention Liberty High School just to the east. “152 is not a very long roadway and it was almost at capacity when they built a full four lanes about a decade and a half ago,” he said. In fact, there was a nearly 60 percent increase in accidents at the I-35/152 intersection between 2012 and 2015, and it sees so much traffic that the Missouri Department of Transportation is planning to replace the six-lane bridge over I-35 and widen it to 10 lanes for the next wave of residents seeking a little space. Every year on the farm has its challenges. There are weeds, insects and random hailstorms. Unpredictable global markets can make or break a profitable crop. Recent years, though, have been especially troubling for the Hammond farm in York County in eastern Nebraska.